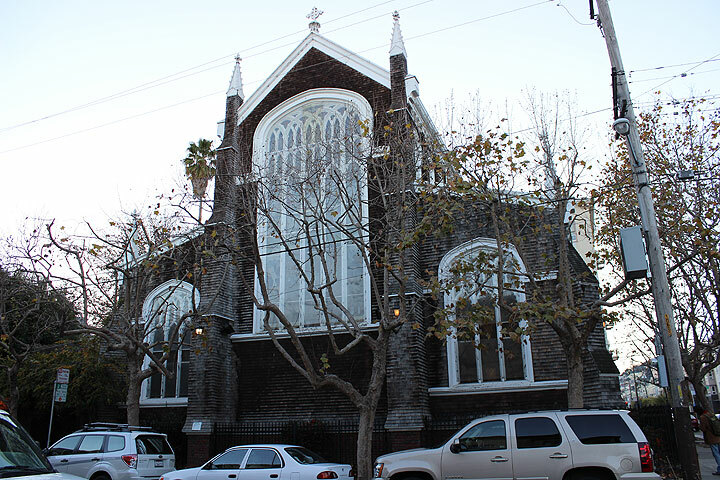 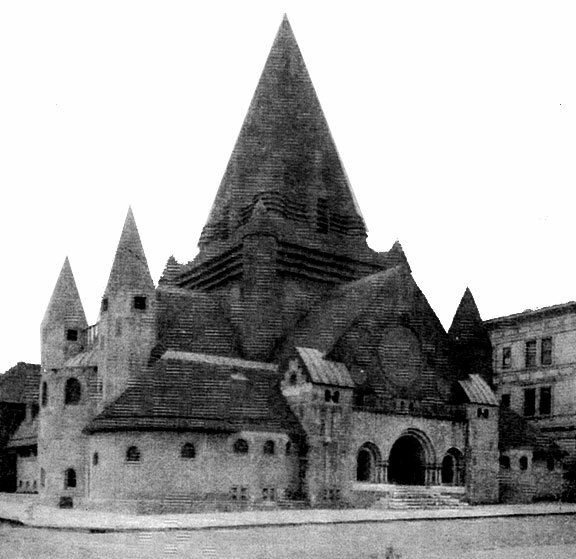 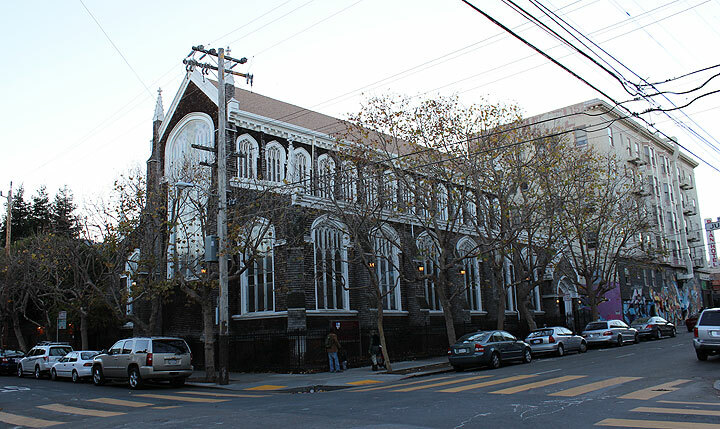 St. John's Church at Julian and 15th, c. 1870s. 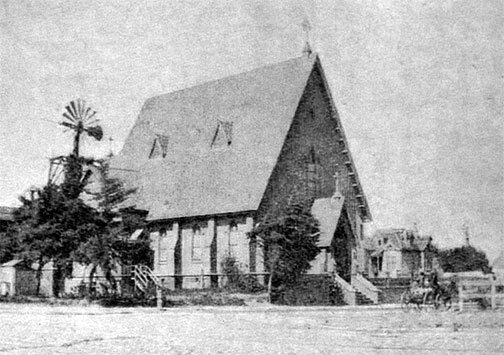 St. John's second structure at Julian and 15th, c. 1880s. 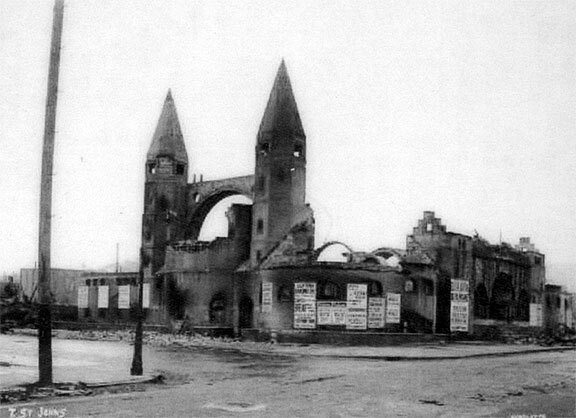 Ruins of St. John's after 1906 earthquake and fire. 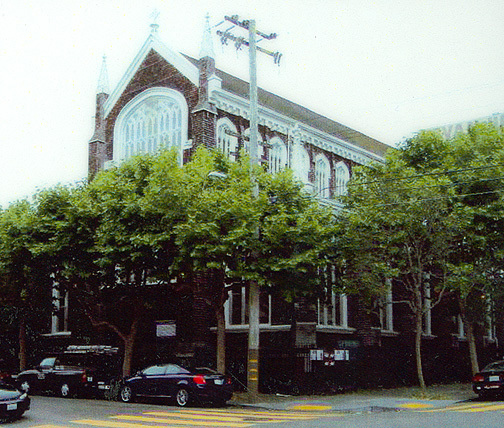 St. John's in the year 2000.